The Homeschool Gossip: FREE Drop In Homeschool P.E. Class! Ages 7-15 ~ Gastonia ~ Registration Required! 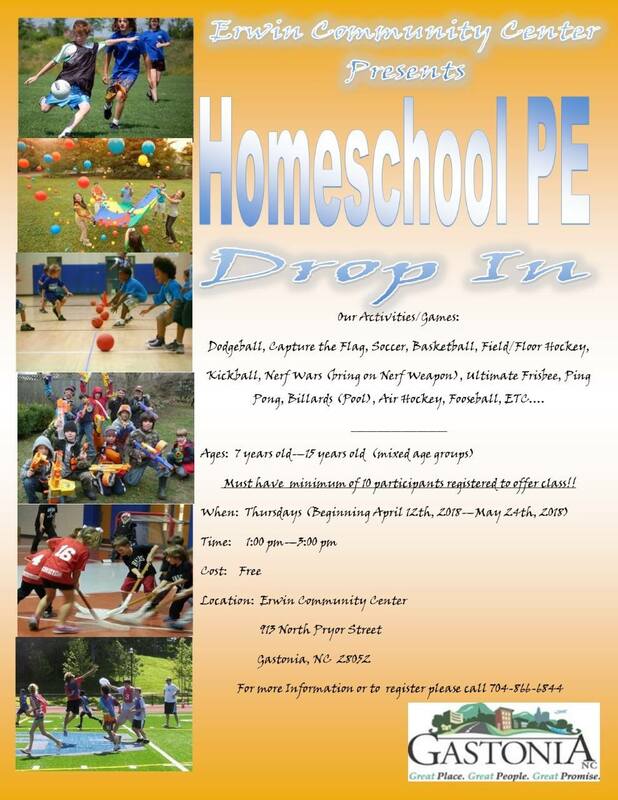 FREE Drop In Homeschool P.E. Class! Ages 7-15 ~ Gastonia ~ Registration Required! Thank you Annalee Fry of Gaston County Homeschool Connections for sharing this! Dodgeball, Capture the Flag, Soccer, Basketball, Field/Floor Hockey, Pong, Billiards (Pool), Air Hockey, Football, Etc. MUST HAVE A MINIMUM OF TEN (10) REGISTERED PARTICIPANTS TO OFFER THE CLASS! !